Allergy is a chronic condition expressed as the body's over-activity in triggering and carrying out the inflammation cascade leading to the symptoms of itching, burning, watering and redness. Note that suppressing symptoms with steroids, mast cell stabilizers and antihistamines hinders the same processes which the body uses to fight bacteria and viruses. They also have the risk of adverse reactions/drug interactions, and should be utilized after desensitization drops have been tried. NatO drops contain microdilutions of ingredients which are known to cause allergy if ingested in large (toxic) doses. The body reacts by desensitization - itching, burning, watering and redness is quickly alleviated. Reactions: None known. 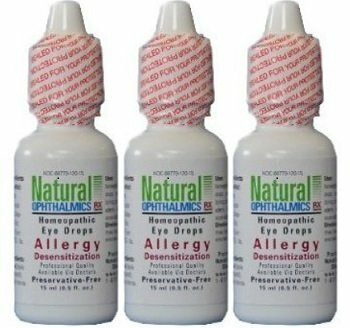 If you have any questions about this product by Natural Ophthalmics, contact us by completing and submitting the form below. If you are looking for a specif part number, please include it with your message.